I know last week I posted a recipes for my new best friend; AKA chocolate pudding. This is another new best friend! Both of these best friends are simple and well loved by the family which is always important! 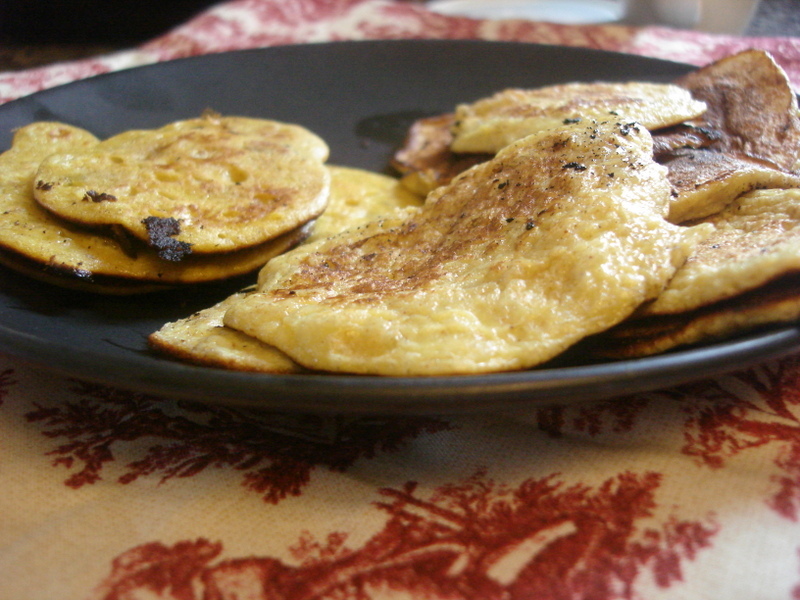 The other posts I’ve supplied for grain free pancakes are good, but do take a little time… these banana pancakes only take two ingredients: bananas and eggs! Can you believe it? One of the amazing moms in my Holistic Mom’s Group posted this and man is it amazing! In fact, they are so good the kids haven’t even asked for syrup on them… ever! And that’s the first thing they want for the coconut flour pancakes! We probably have these about once a week since they are so easy and a good variation so that we don’t eat plain eggs every day! Since baby girl can’t have egg whites, I just subbed 2 egg yolks for 1 egg and it turned out fine. 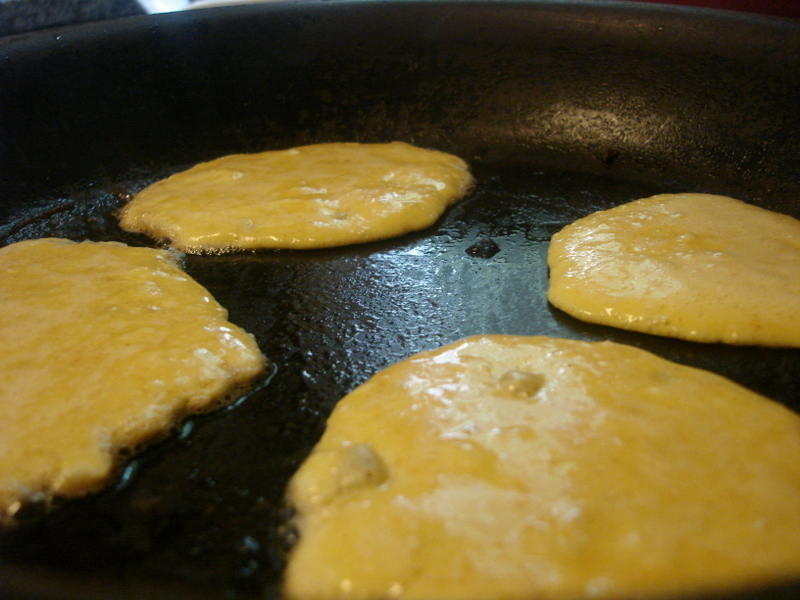 It does tend to be a little thick, so I have added just a little water or coconut milk to thin it a little. Mash well together. Fry up in a skillet like any other pancake. Serve however you like. Could put some strawberry syrup on top if you think it needs something… but we are happy with them plain. I’ve also found that they travel well and can be eaten in the car without becoming crumb city! I’ve also added about 1 TBSP of almond butter to the mix just to add a different flavor and I actually think it helps hold them till lunch a little better too! As always, give it a try and let me know what you think! Love these! Just had them again this morning!! Oh, and I forgot to mention that our favorite way is adding chia seeds and coconut…yum!